The company has applied to Nottinghamshire County Council for permission to drill two exploratory shale gas wells at Springs Road, Misson, in PEDL140, and another at a site called Tinker Lane (PEDL200). 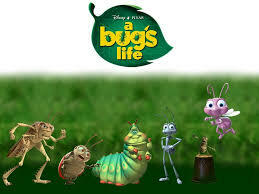 WHEN YOU REALIZE ‘A BUGS LIFE’ WAS TRYING TO TELL YOU SOMETHING!! ANT ifrackers V gas & oil!! A group of medical professionals led by a former president of the Irish Medical Organisation is to call for a ban of fracking in Ireland. Concerned Health Professionals Ireland (CHPI), which will be launched on AppearanceWednesday, involves more than a dozen health practitioners who believe there is overwhelming evidence that fracking is bad for human health. The global community is badly prepared for a rapid increase in climate change-related natural disasters that by 2050 will put 1.3 billion people at risk, according to the World Bank. As the filings pile up, experts say the industry collapse has not even hit its midway point. Charles Gibbs, a restructuring partner at the Texas-based firm Akin Gump, told Reutersreporters Ernest Scheyder and Terry Wade that he expects to see more bankruptcies in the second fiscal quarter of the year. The news offers an optimistic glimpse of a fossil-free future—and serves as a warning that no dirty energy corporation is safe—coming just a few weeks after coal giant Peabody filed for Chapter 11 bankruptcy. Meanwhile, this week saw the launch of a global wave of action against fossil fuels that will last for 12 days across six continents under the banner Break Free. “The only way to survive climate change is through a rapid just transition to 100% renewable energy, keeping oil, coal and gas in the ground,” Jennifer Morgan, executive director of Greenpeace International, said on Wednesday. “If we get good results from the wells … gas could go into the system next year,” said Francis Egan, chief executive of Cuadrilla, 46 percent owned by Australian engineer AJ Lucas . 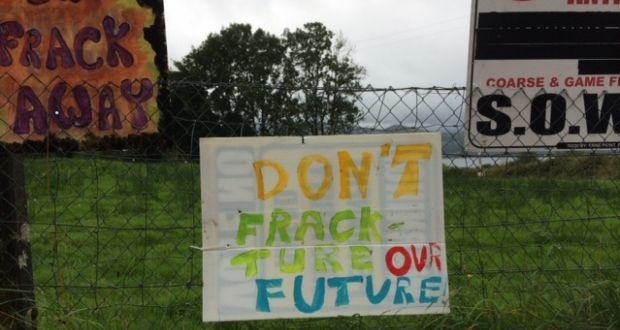 An energy firm is to drill bore-holes for ground water monitoring at Lancashire fracking sites. “Domestic Extremism relates to the activity of groups or individuals who commit or plan serious criminal activity motivated by a political or ideological viewpoint”. “That the conduct involves the use of violence, results in substantial financial gain or is conduct by a large number of persons in pursuit of a common purpose”. If only the TV and Papers would ask this sort of question, instead of leaving it to us the Public. DRILL OR DROP’S digest of April’s headlines about fracking, shale and onshore oil and gas developments – and reaction to them. With grateful thanks to Ruth at Drill or Drop!